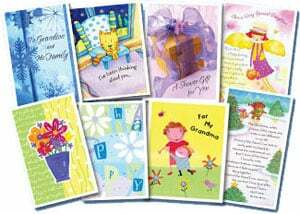 Now through 12/1, you should be able to score $3 in Extracare Bucks when you purchase 3 American Greetings or Hallmark cards priced at $0.99. (Check your local ad because it might vary by region) Here’s how to turn this into a moneymaker. 1. Click here to visit the Hallmark facebook. Then on the “Coupon” tab, you’ll be able to print a coupon good for $2 off any 3 card purchases from Hallmark. My CVS only sells American Greetings. Will they accept the Hallmark coupon?